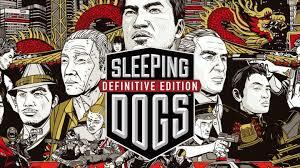 Sleeping Dogs - this is an action with an open world of games, which takes place in Hong Kong. You are waiting for brutal hand-to-hand battles, exciting street racing and an intriguing plot. The Definitive Edition is a special version of the game, completely redesigned for PCs and consoles of a new generation and includes all the previously available content, as well as new technological improvements. In Sleeping Dogs, you have the role of Wei Shen, a policeman undercover, who is charged with destroying the Hong Kong Triad from within. Prove your worth on the way to the tops of this organization, taking part in violent criminal operations, but do not let criminals reveal themselves. Breaking between loyalty to a police badge and a gangster´s code of honor, you will have to bet everything and not get confused in the blurred boundaries between truth, devotion and justice. BUYING WITH US YOU ARE GUARANTEED TO RECEIVE A LICENSE KEY OF ACTIVATION AFTER PAYMENT. This product is distributed through digital distribution and is only a pin-code (activation key), it does not contain packages and boxes. Хороший продавец. Продавец терпеливо и вежливо ответил по всем интересующим вопросам. Рекомендую. Спасибки, теперь играю с друзьями!